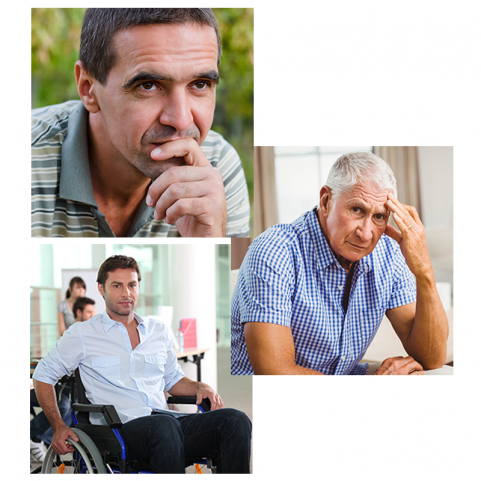 Are you one of the 1.1 million male urinary catheter users looking for a new option for bladder management? If so, you may qualify to participate in the Connected Catheter Evaluation study. Why the Connected Catheter Evaluation Study? The Connected Catheter Evaluation Study is designed to evaluate the safety and essential performance of the Connected Catheter system in males with Chronic Urinary Retention (CUR), both in an acute clinical setting and an extended period of home use. The Connected Catheter could address both the clinical complications and quality of life issues that plague urinary catheter users. All qualified candidates will receive compensation and payment for trial participation. The information you provide here will remain confidential and will only be shared with Spinal Singularity, Inc. and research coordinators at clinical sites. When you submit this information, we will contact you by telephone and/or email. Once submitted, your information may be added to a database that will remain confidential to Spinal Singularity. Caution: The Connected Catheter is an Investigational Device. Limited by Federal (or United States) law to investigational use. For more information regarding the study visit (https://clinicaltrials.gov/ct2/show/NCT03843073). Thank you for your interest in our clinical study! Are you answering these questions for yourself or for someone else? ZIP code Do you use catheters? How long have you been using a catheter? If you qualify and choose to join the study, would you be able to travel to the site closest to you for: your screening, catheter insertion, and five weekly follow-up visits? Total length of study is 35-40 days, with two followup phone surveys to conclude the process. All qualified candidates will be reimbursed for time and travel. Do you have any questions about this clinical trial? The information you provide here will remain confidential and will only be shared with Spinal Singularity, Inc. and research coordinators at clinical sites. When you submit this information, we will contact you by telephone and/or email. Once submitted, your information may be added to a database that will remain confidential to Spinal Singularity.